Captain America has thrilled fans of all ages with nearly 80 years of exciting adventures since his first appearance in the pages of Captain America Comics #1 in March 1941. With the film Avengers: Endgame set to launch in theaters this spring – in which Cap, played by Chris Evans, will team with the Avengers in a final attempt to finally thwart Thanos – his popularity will be at an all-time high. 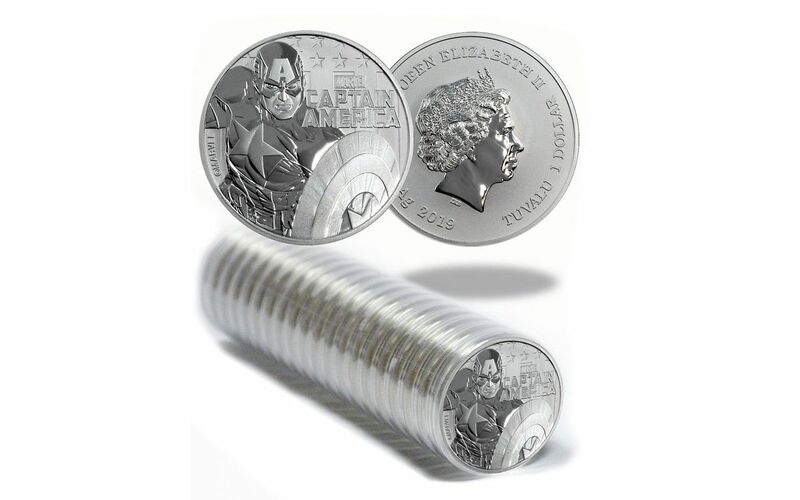 Thanks to the success of the films and comics, you can bet fans and silver stackers alike around the world will be eager to scoop up these coins. With only 50,000 struck for worldwide release, the time to order your coin is now while you still can! And in this offer, you can bring home a full 20-coin roll in pristine Brilliant Uncirculated (BU) Condition! 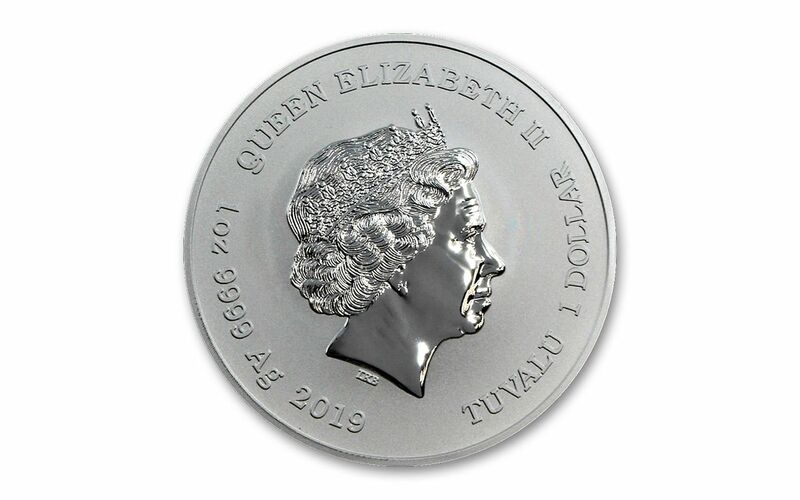 GLEAMING BRILLIANT UNCIRCULATED CONDITION – Your 2019 Tuvalu Captain America One-Ounce Silver Coins will come in gleaming Brilliant Uncirculated (BU) condition, as fresh and crisp as the day they left the mint. 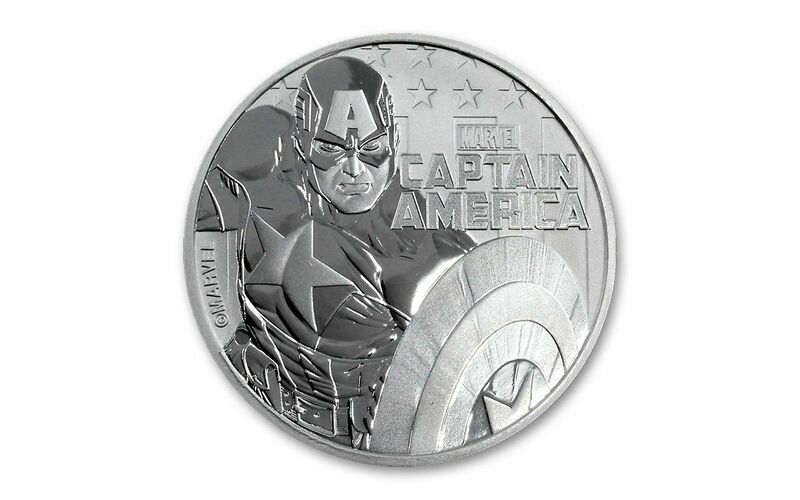 Collectors couldn't get enough of the previous Marvel bullion coins from the Perth Mint, and we're expecting Captain America’s army of loyal followers to have these targeted for their collections. Whether you're continuing your collection or just starting out; a massive Marvel maniac or a silver stacker looking to bring some action-packed excitement to your bullion, this 2019 Captain America Bullion Coin is one not to miss! Click a 20-coin roll to your cart today!